In contrast to the Vatican II sect which eschews the supernatural as fiction, many Traditionalists fall victim to the other side of the coin where everything is "miraculous." 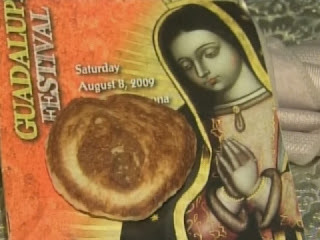 Examples are numerous; "apparitions" of the Blessed Virgin Mary or Jesus Christ which have heretical messages, bleeding/crying statues, wacky conspiracy theories concerning the end times supposedly reported by saints or the "real" Fatima, and even a pancake attempted to be sold on ebay which contained a "miraculous image" of the the Blessed Virgin Mary! Miracles can and do happen. Our Faith is founded on the greatest miracle in human history; the physical Resurrection of Jesus Christ from the dead, thus proving He is God. However, I find it endemic at Traditionalist churches that most of the congregation spends more time learning and debating these so-called miraculous events than the Truths of Our Faith. Here are some practical tips to avoid delving into false miracles (by which means Satan can lure souls into heresy) and to strengthen your Faith. 1. Only trust devotions approved by the Church with an Imprimatur granted when there was still a Pope and Bishops with ordinary jurisdiction. This would be old books printed in or before 1958. Do NOT trust reprints from "conservative" Vatican II publishers such as TAN books. Since Thomas A. Nelson sold his company to the Vatican II "St Benedict Press" the first thing they did was to purge the listings of any Traditionalist books. Books authored by Fr Wathen, Fr Cekada, Dr Coomaraswamy, and anything critical of Vatican II was thrown out. Other books such as The Dogma of Hell, was edited so that the chapter on "How to Avoid Hell" was removed since it told the reader to attend the True Mass. Beware! The "seers" are photographed in contortions and walking backwards, like Michael Jackson on a bad acid trip. Why would God permit such a frightening image of children, and how would that add to or prove any messages from Heaven? Conchita (the leading "seer") and the rest of the children signed a document with the Vatican II bishop agreeing with the findings of the Counterfeit Church and promising never to promote the apparitions again. Does that sound like something a real seer would do? The children at Fatima refused to retract what they had seen and heard even when an evil man threatened to kill them unless they did so. All of the children at Garabandal have reportedly retracted all belief in the "miracles". In 1966 Conchita wanted to enter the Carmelite Convent in Pamplona. "Jesus" told her to go back to the world. Conchita made a museum of her house in Garabandal. She has since sold that house and owns a house in New York and a flat in Fatima as well. Compare that with St. Bernadette in Lourdes. Conchita reportedly admitted to Father J. Pelletier that she herself had stolen the Host from the tabernacle for the so-called mystical communion.
. An unseen force reportedly forced the girls to their knees. In this first apparition they saw what appeared to be a holy angel. Conchita was reportedly often caught in contradictions. The “Virgin” asked that the girls not bring blessed sacramentals [rosaries, crucifixes, etc. ], because she wanted to bless these objects herself. The vision is reported to have blessed and kisses hundreds of objects. This is troubling for two reasons: first, because only blessed sacramentals affect the devil and fallen angels; second, the Blessed Virgin Mary is not a priest and therefore she cannot confer a priestly blessing. Conchita reportedly said the Blessed Mother played hide and seek with her. "Our Lady" said that "...My Son has repeated over and over, remember always – that in My Father’s House, there are many rooms in the Mansion, signifying faiths and creeds.” (Our Lady of the Roses (Blue Book), the “messages” of Bayside, published by Apostles of Our Lady, Inc. Lansing, MI, 1993, p. 81.) This is blatant heresy. Only Jews prior to Christ, and Catholics (including those who are recipients of Baptism of Desire and Baptism of Blood, who are united to the Catholic Church at death) can be in Heaven. To say otherwise is to deny the dogma of Extra Ecclesiam Nulla Salus Est (Outside the Church there is no salvation). In 1988 the vision predicted a stock market crash and a paralysis of the world's monetary system "in two years or less." This was proven false. In 1985, the vision called Wotyla (John Paul II) "a good and holy father." The vision further advised that JPII stop his world travels because it makes "Us" (i.e. Jesus and Mary) harder to protect him. Really? The Omnipotent God and His Mother have a difficult time protecting someone who travels? Not only is this "offensive to pious ears", but just plain stupid. The last three bullets make it clear---Bayside wants you to stay IN THE FALSE SECT OF VATICAN II. 3. Avoid speculations about "the real meaning of Fatima." Dozens of books have been written full of conspiracy theories and claiming knowledge about "the true Third Secret of Fatima." Stick with the basic message and don't be fooled by "Fr" Nicholas Gruner (sometimes referred to as the "CEO of the Fatima Industry") who has been assuring us since the 1980s that nuclear doom is just around the corner unless the "Holy Father" correctly consecrates Russia to the Immaculate Heart of Mary in union with all the "bishops" of the world. Of course to effectuate this, you need to send him the most generous donation you can. He also hangs out with the (now deceased) Fr Jarecki (ordained in 1944) who was a Feeneyite and accepted the validity of the Vatican II sect as the True Church just like Gruner. Stay away. 4. Avoid Fr. Malachi Martin's works. Sure, he writes a swell novel, but his background is all over the place. He was ordained a Jesuit priest in 1954, but was released from all his vows except celibacy by the Modernist Vatican in the mid-1960s. While it's true he received the Last Rites from a Traditional priest on his deathbed in 1999, Fr Paul Wickens was not a sedevacantist. Yet Fr. Martin can be clearly seen in photos assisting a Thuc bishop (sedevacantist) ordain Dr. Coomaraswamy to the priesthood. (Click here and see the photos at the bottom http://www.the-pope.com/validity.html,). When the ordaining bishop was uncertain if he touched the doctor's head with his hands, Martin "conditionally re-ordained" him, claiming to have been secretly consecrated to the episcopacy by Pope Pius XII! Yet he never produced one scrap of evidence for this fantastic claim. On the Art Bell radio show, Martin claimed that werewolves existed. Need I say more? 5. Check out devotions with a Traditionalist priest you trust. Don't indulge in devotions with dubious "promises." The "Magnificent Promises" are orthodox prayers in honor of Our Lord's Holy Passion, but the promises were rejected by the Holy Office in 1954. Any devotion which promises you salvation (or that of another) can not be true. It would then be like the Protestants who say that once you believe, you're saved. "Sin boldly, but believe more boldly", as Martin Luther said. Please DO read manuals of Dogmatic and Moral Theology by the giants available in English such as Prummer, Jone, Ott and Pohle. Read spritual classics like True Devotion to Mary and The Spiritual Exercises of St Ignatius of Loyola. In this way you will know, love and serve God in the One True Faith. Leave private revelations alone. 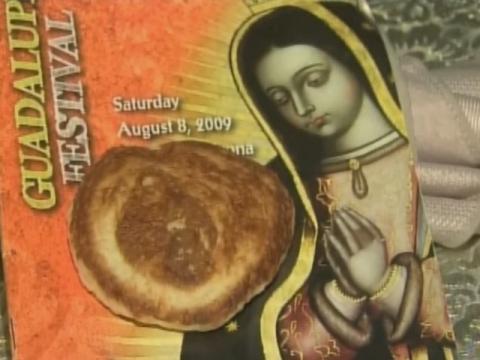 Seek God in the treasured writings of Her best theologians and saints, not in your morning pancakes. Without a pope, Traditionalists must forge on by holding onto the Faith as it was passed down to us. We have an obligation to fight the Counterfeit Catholicism of the Vatican II sect and expose their antipopes. Unfortunately, instead of sticking to these essentials, many would rather fight amongst themselves. Claiming that the strife is motivated by doctrinal correctness, more often than not it's really the result of clashing egos, which war of words ends in the confusion of the faithful and does damage to their Faith. One example is the Society of St. Pius V refusing to acknowledge the validity of the Orders derived through Archbishop Thuc, despite the overwhelming evidence based on Dogmatic Theology that they are valid. Another example would be those who claim that Archbishop Lefebvre's Orders are invalid due to a supposed "Masonic connection." I recently came across a blog entitled "Pistrina Liturgica" dedicated to attacking Fr. Anthony Cekada and Bishop Daniel Dolan. It alleges to be "exposing" the lack of erudition and training they should possess. The blog is further supposed to be written by a group (whether layman, clergy or both is unknown). Most posts seem moderated by an individual known as "the Reader." The blog consistently refers to Bishop Dolan as "One Hand Dan." The reason? It is alleged that when Bishop Dolan was ordained to the priesthood by Archbishop Lefevre in the 1970's, he only imposed one hand on his head instead of two. Fr. Dolan was one of the nine priests who broke away from the Society of St. Pius X to found the Society of St Pius V in 1983. After Fr. Dolan left the SSPV in 1989 over the issue of the Thuc consecrations, the remaining clergy in the SSPV sent a letter to him asking him to refrain from all further priestly functions because the Archbishop's use of only one hand instead of two made his ordination "dubious." (Interestingly, they never brought this point up when he was with them, only after he left!). Fr Cekada published a refutation of the idea that ordination with one hand was dubious in his article entitled "The Validity of Ordination Conferred with One Hand." It can be found at www.traditionalmass.org. "We have refuted a major portion of the Blunder's (this is his epithet for Fr Cekada--Introibo Ad Altare Dei) article on our page entitled "Lost in Translation." (BTW, he is definitely not erudite: just read our critiques of his error-filled "Work of Human Hands," beginning July 2010.) The Blunderer based much of his argument on his faulty translation of Pius XII's apostolic constitution. You may find our analysis on our home page, at the top. If you read it carefully, you'll see our point: the Blunderer completely overread the Latin, and therefore his point is null. "Sacramentum ordinis" is really quite explicit: for a deacon, the matter is the "impositio manus" but for a priest, it's "impositio manuum," Together with the text of the Pontificale Romanum ("Pontifex...imponit simul utramque manum"), there's no easy getting around the fact that both hands were stipulated for the matter. Until the Church can decide, positive doubt remains." I read the article "Lost in Translation" and it does not do what the Reader claims, i.e. refute Fr. Cekada's conclusion that ordination conferred with one hand IS valid. I will set out the reasons below. 1. IS THE USE OF ONE HAND PROVEN? This comes from a book that has an Imprimatur, declaring it free from all moral and doctrinal error. Yet, the Reader would have us believe this is hearsay, and the ordination of Bp. Dolan with one hand to be taken with apodictic certainty! "Pius XII states that the Roman Church always regarded Eastern Rite ordinations as valid, and indeed insisted that Greeks, even in Rome itself, be ordained according to their own rite. 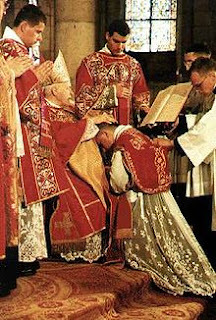 Since the majority of the Eastern Rites impose only one hand to confer Holy Orders, it is impossible to maintain that an ordination so conferred in the Latin Rite would be “dubious.” Such would imply a substantialdifference between Holy Orders in the West and in the East — that the latter mode of ordination somehow “differs in name and in reality according to common use and estimation from that which Christ established.” In light of the Church’s constant teaching, this would be absurd. It is evident, therefore, that the difference between the two impositions is nothing more than accidental — like the difference between the Eastern Rites and the Latin Rite in using for Mass, respectively, leavened and unleavened bread. Such a difference can in no way render a sacrament doubtful." This is a most powerful argument that I have not seen addressed. The Reader scoffs at the morally unanimous conclusion of the Church's most learned pre-Vatican II theologians/canonists declaring that ordination with one hand is valid as "theological opinions that do not have the endorsement of the Church." You've got to be kidding. These theologians were the intellectual heavyweights in both orthodoxy and learning whose manuals were approved by the Church for the training of Her priests in the seminary. This follows the illogical position of the Feeneyites who reject the teaching on Baptism of Blood and Baptism of Desire because they will only heed ex cathedra pronouncements (and then only THEIR understanding of it). According to them, everyone was mistaken except Fr. Feeney. Analogously, if several medical doctors of great learning told you that an operation was necessary to save your life, who would be foolish enough to dismiss it as "mere medical opinion" and attempt to "treat" yourself? I challenge The Reader to give one full citation to any pre-Vatican II theologian declaring one handed ordinations dubious (I won't hold my breath). Ordination with one hand must be considered as morally certain as Baptism of Blood and Baptism of Desire. To state otherwise is to put fear into the faithful that their Masses and Sacraments are dubious when the evidence---aside from bickering over Latin phrases---has not been refuted that such ordinations (if proven) are nevertheless valid. So there you have it folks, poor reasoning, bad theology, and malicious name calling worthy of children in kindergarten. There is one response to me from "The Watcher" that is so uncharitable in name-calling and vitriol, I could only shake my head in disbelief. No reasoned argument about one handed ordinations, just more ad hominem claptrap. At the risk of sounding uncharitable myself, I suggest that those responsible for the posts on Pistorina Liturgica start reading the labels on their lithium and watch more carefully the amount they take. Imagine that! Undermining the revealed doctrines of the Holy Trinity, the divinity of Christ, and the inspiration of Sacred Scripture! So what will Mr. Bergoglio do? Excommunicate them? NO! Boldly reassert the True Faith and burn the documents of Vatican II that did all this destruction? NO! "Pope" Frankie wants three of his heretical "bishops" to oversee them, continuing the policy of Ratzinger. The "archbishop" of Seattle, Peter Sartain, is empowered to revise their statutes and "offering guidance in the application of liturgical texts." Much akin to rearranging the furniture on the Titanic, this is yet another example of "appearing to do something" when nothing can be done. After all, their very "Frankenchurch" heresy that the Church of Christ "subsists" in the Catholic Church, but exists elsewhere makes the Modernist Vatican partners in crime with these "nuns." All they want is to make sure they remain in their One World Church by paying them lip service, and Truth be damned. "When I was a child in this town, I was taught that it was a sin to go into a Protestant church. In my lifetime, the church, to its eternal credit, admitted that it was wrong. The scandal and the sin is that it took 400 years to do that." Chittister said women religious have been trying since Vatican II "to help the church avoid that kind of darkness and control ... they have been a gift to the church in their leadership and their love and their continuing fidelity. "When you set out to reform that kind of witness, remember when it's over who doomed the church to another 400 years of darkness. It won't be the people of the church who did it." So, the Truth that going to a heretical sect was a sin was wrong, and Vatican II's heresy that it's not is the truth? Remember Isaiah 5:20, "Woe to those who call evil good and good evil, who put darkness for light and light for darkness, who put bitter for sweet and sweet for bitter." The evil sister is right about one thing, however. If we're in for 400 years of heretical darkness, it won't be the members of the True Church that did it, we have Vatican II and the antipopes to thank for that one. The nuns and Antipope Frankie might disagree on how fast to drive to Hell, but they're going there together---and taking along anyone else who follows their insipid and vile nun-sense. 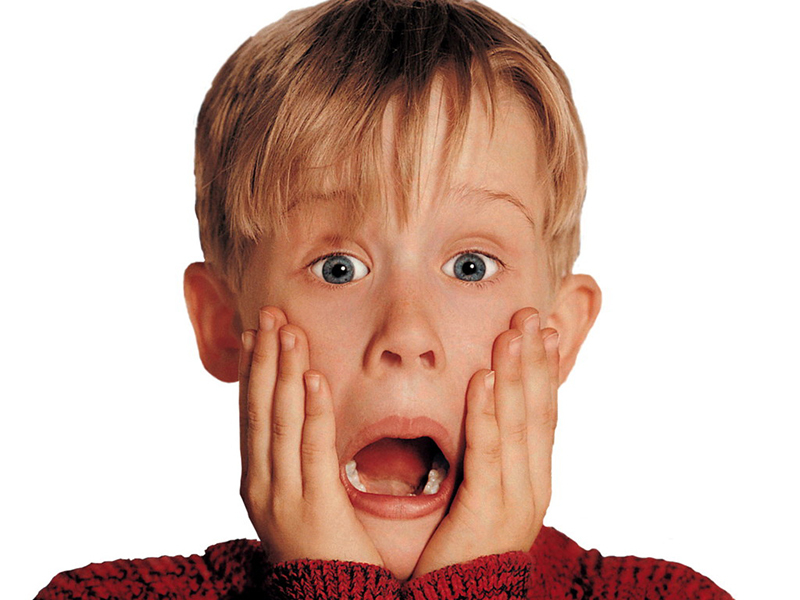 Gerry Matatics Wants You to Pay For His Trip So You Can Stay Home Alone! Enter one Gerry Matatics. A former Protestant minister, he converted to the Vatican II sect when his friend Scott Hahn (also a Protestant minister) converted. Hahn makes money off the Vatican II sect members by peddling books about his conversion and going on speaking tours. Matatics has not done nearly as well. He became a very conservative member of the Counterfeit Church, teaching Bible Studies to the Fraternal Society of St Peter's (FSSP) seminarians. Then he shifted towards the SSPX. He then announced he had become a sedevacantist (True Catholic), but unfortunately, his ideological roller coster ride doesn't stop. Next, he declares himself a Feeneyite (he denies Baptism of Desire and Baptism of Blood), and now he is a "Home-Aloner" (a term coined by Fr. Cekada for those misguided souls who think that after Vatican II, you can't go to Traditionalist clergy but must stay "Home Alone."). "In the process, God in His mercy and undeserved kindness has shown me something that constitutes a quantum leap forward in my understanding of the current crisis in Catholicism, and in my ability to effectively explain the nature, duration, and severity of that crisis. I wish to fully explain this new aspect to my analysis in a lengthy essay I will begin to serialize here on my website beginning the week of Easter. God willing, I will be giving this hard-hitting but helpful (and hopeful) talk, beginning in early May in the Baltimore area, in three cities in New Jersey, in New York City, on Long Island, and in the Boston area. I announced some time ago that Biblical Foundations International will no longer be selling books, once we've exhausted our current stock. We have already sold out of all but four of our titles, but I still have 14 copies left of the indispensable reference work, Denzinger's Sources of Catholic Dogma. Once these 14 copies are gone, I won't be restocking or selling the book anymore. If you don't already own a copy of Denzinger, or if you have a loved one who doesn't own a copy but who would benefit from being able to read for themselves, in black and white, why Francis I is a fraud, and not an authentic Catholic pope, then may I suggest a way we can perhaps help each other do God's work? My travel fund is completely empty. I don't even have the minimal funds necessary to drive to Maryland, New Jersey, New York, and Massachusetts next month to give the aforementioned new talk. But if you are one of the next 14 people to send me a helpful donation of $100 or more to help me leave on this week-long lecture tour, I will send you not only a free CD recording of this new talk on Francis I but also a free copy of Denzinger -- a $34.95, 800-page hardcover book -- with an exclusive pamphlet by me (available nowhere else) showing you how to use the book to PROVE that Francis I, and Vatican II, and the New Mass, etc. are all fraudulent -- part of the vast global deception Scripture tells us (e.g., in Luke 18:8; Matthew 24:10; 2 Thessalonians 2:2,10-12; 1 Tim 4:1; Apocalypse 13:3,8) will precede the return of Jesus Christ in glory to usher in the new heavens and new earth and the triumph of His Mother's Immaculate Heart. I need to call the hotels the week after Easter, if possible, to secure and pay for the meeting spaces for these talks. I will need that much lead time to adequately advertise the talks, to design the fliers and begin to mail them out to the thousands of people on my mailing list who live in these areas, so as to give them adequate time to learn about and pre-register for these events. That's why I need to hear from you as soon as possible. Can you help?" "enable you to make the case that the authentic alternative to Vatican II Catholicism is NOT the unauthorized, illicit, anarchic, and sacrilegious scene at the chapels served by the illicitly ordained (i.e., in the post-Vatican II era) "traditionalist" priests and bishops, whether of the SSPX, SSPV, CMRI, or independent variety." "Typically, some layman with an ax to grind will get hold of an English paraphrase of the Code of Canon Law (the official text exists only in Latin), and, like a Protestant handling scripture, will treat his discovery as a handy source for “proof-texts” he can use to dismiss everyone else in the traditional movement as “non-Catholic.” He has no idea that, as with scripture, there are authoritative principles and rules which must be followed for applying the particulars of the Code. And as the would-be lay canon lawyer circulates his articles condemning everyone else for not adhering literally to the canons, it never occurs to him that his own project is equally“illicit” — for his writings do not bear the official Imprimatur required by Canon 1385. In either case — statements from the modernist establishment or polemics from self-styled lay canonists — Catholics who go to a traditional Mass sometimes find such accusations troubling. Good Catholics, we know, should try to obey the law. Is what we do really against canon law, or somehow illicit, and therefore wrong?" The goal of all law is to promote the common good. • Canon law falls under the heading of human law. • A specific human law may be just in general, but taken literally in circumstances unforeseen by the lawgiver may in fact contravene either natural justice or what the lawgiver intended. • In such a case one may apply equity — deciding that, because of the harm which would result, the lawgiver didn’t intend a particular case to be included under his general law. • In certain circumstances where harm to the common good would result from a literal application of a law, it is bad to follow the law. • Applying equity is licit or lawful. • The salvation of souls is the supreme law. • When a lower law conflicts with the divine law, the obligation to observe the lower law disappears. • The application of equity to a law must be controlled by prudence. Practically, this means that Our Lord wills that we be saved, and He instituted the seven sacraments as the principal means for us to sanctify ourselves and obtain salvation. In virtue of the divine law, therefore, Catholics have a right to the sacraments. The human law of the Church (canon law) protects that fundamental right, and at the same time places certain restrictions on how it can be exercised. (To confer sacraments legally in a diocese, for instance, the Code requires that a priest obtain faculties from the bishop.) The legislator promulgated all these restrictions, and indeed the whole Code, on the assumption that a normal situation obtained throughout the Church. The situation for Catholics since the Second Vatican Council can hardly be termed normal. By Vatican decree, a new Mass, protestantized and stripped of sacredness, has been introduced into our parish churches, together with the officially-sanctioned and utterly sacrilegious practice of Communion in the hand. Bishops and pastors — the men who under the Code would have possessed the power to grant other priests faculties to confer sacraments — tacitly condone or explicitly promote doctrines which contradict the Catholic faith. (B) Because traditional Catholics cannot obtain the faculties and permissions required by canon law, they must henceforth forego receiving any sacraments, apart from baptism conferred in proximate danger of death. As regards the first alternative, it is hardly reasonable to imagine that we Catholics who have a right by divine law to Catholic sacraments and Catholic teaching would have an obligation by canon law to request permission for these things from the very men who took them away in the first place. The same Code of Canon Law that lays down requirements for granting faculties also protects Catholics from these wolves in sheep’s clothing. Church officials who have manifestly defected from the Catholic faith lose not only all jurisdiction in the Catholic Church (c.188.4), but even their membership in it. Thank you Fr. Cekada for your always erudite writings! As to Mr. Matatics, let him stay home and ponder this one: Where do you get the jurisdiction to publish your works without an Imprimatur? Further, any attempt to interpret the Canons of Trent without ecclesiastical approbation results in laetae sententiae (i.e. automatic) excommunication (See Pope Pius IV’s Bull Benedictus Deus (26 January 1564)). On one hand, logic dictates that he consider himself excommunicated; on the other, he denies that anyone still has the authority to lift an excommunication. It will be interesting to see the explanations Mr. Matatics will offer to deal with these inconveniences besides "buy my CD and find out." Yeah. Find out you've been duped out of your money by a man who wants to travel on your dime and keep everyone else under a spiritual house arrest. Caveat Emptor. "Fr." Salmon's Fishy Vatican II Theology of "Love"
A Vatican II Jesuit-run high school is allowing two admitted homosexual boys to attend the prom together as a "couple." The President of the high school, one "Fr." Edward F. Salmon, invokes the "wisdom" of Mr. Bergoglio and asks all associated with the high school "to be men and women who look upon one another with tenderness and love." "Love" is the word Modernists use to excuse every moral aberration, from abortion to euthanasia. The love True Catholics are asked to exercise is "caritas", (i.e. charity is the theological virtue by which we love God above all things for His own sake, and our neighbor as ourselves for the love of God). If we love God first and foremost, we will obey His Commandments and love others for His sake as we should. Letting two sexually confused and vulnerable young boys show up as romantic "partners" is NOT being loving--it's reinforcing their personality disorder and leading them into the occasion of mortal sin. Reproduced below is the entire text of Salmon's letter and a final rejoinder by me at the end. Our new Holy Father, Pope Francis, in the homily for his Inaugural Mass, had encouraging and inviting words: "Today amid so much darkness we need to see the light of hope and to be men and women who bring hope to others. To protect creation and to protect every man and every woman, to look upon them with tenderness and love, is to open up a horizon of hope, it is to let a ray of light break through heavy clouds." Darkness and heavy clouds have gathered here at McQuaid recently because of misinformation, fear, misunderstanding, and even anger. That misinformation, fear, misunderstanding, and even anger came about after two of our brothers asked whether they could attend the Junior Ball together. Into the darkness of misinformation, fear, misunderstanding and anger, together with Pope Francis, I invite and encourage each and every one of us in the McQuaid family to be men and women who bring hope to one another. I invite and encourage each and every one of us in the McQuaid family to be men and women who look upon one another with tenderness and love. I invite and encourage each and every one of us in the McQuaid family to open up a horizon of hope, to let a ray of light break through heavy clouds. I myself would like to let a ray of light break through by correcting some misinformation. It is simply not true, as was reported and as many seem to have assumed, that a decision had been made by McQuaid authorities not to allow the young men in question to attend the Junior Ball. No decision had been made. I would like to let a ray of light enter into the darkness of fear. I, together with the United States Conference of Catholic Bishops, who in their Pastoral Message, "Always Our Children," ". . . call on all Christians and citizens of good will to confront their own fears about homosexuality and to curb the humor and discrimination that offend homosexual persons. We understand that having a homosexual orientation brings with it enough anxiety, pain and issues related to self-acceptance without society bringing additional prejudicial treatment." I would like to let a ray of light enter into possible misunderstanding of the Church's teaching. In that same message, Always Our Children, the Bishops are clear --"Nothing in the Bible or in Catholic teaching can be used to justify prejudicial or discriminatory attitudes and behaviors." The Bishops continue: "It is also important to recognize that neither a homosexual orientation, nor a heterosexual one, leads inevitably to sexual activity. One's total personhood is not reducible to sexual orientation or behavior." In that same message, the Bishops refer to a 1986 Letter from the Congregation for the Doctrine of the Faith which emphasizes that "Respect for the God-given dignity of all persons means the recognition of human rights and responsibilities. The teachings of the Church make it clear that the fundamental human rights of homosexual persons must be defended and that all of us must strive to eliminate any forms of injustice, oppression, or violence against them." The Bishops continue, "It is not sufficient only to avoid unjust discrimination. Homosexual persons 'must be accepted with respect, compassion and sensitivity' (Catechism of the Catholic Church, no. 2358). They, as is true of every human being, need to be nourished at many different levels simultaneously. This includes friendship, [brotherhood] which is a way of loving and is essential to healthy human development. It is one of the richest possible human experiences. Friendship can and does thrive outside of sexual involvement." Lastly, I would like to let a ray of light into the darkness that anger can bring. Based on the misinformation circulating and a certain misunderstanding of Church teaching, some people began posting prejudicial and humiliating comments in the social media. Speaking or writing or acting out of anger is not usually helpful. Others, however, deeply concerned for the dignity and respect of all persons, wrote thoughtful and encouraging e-mail messages to McQuaid officials. In conclusion and in the hope that I and all of us at McQuaid Jesuit will let a ray of light break through the darkness and the heavy clouds that have surrounded us, I have made the decision that, if our two brothers who have asked to attend the Junior Ball together wish to do so, they will be welcomed. With this decision I am not contradicting the teachings of the Roman Catholic Church with regard to human sexuality; I am not encouraging nor am I condoning homosexual activity just as I do not encourage or condone heterosexual activity at a dance. I am not contradicting the Church's opposition to the redefinition of marriage. With this decision I invite and encourage us all, as Pope Francis does, to exercise care, protection, goodness which calls for a certain tenderness "which is not a virtue of the weak but rather a sign of strength of spirit and a capacity for concern, for compassion, for genuine openness to others, for love. We must not be afraid of goodness, of tenderness." Sounds so wonderful to ears corrupted by years of false Vatican II theology. Some religious based high schools have done away with the prom as it is an occasion of sin. Those who do allow a modest prom realize that the attraction between males and females is (a) natural (b) necessary for procreation, and (c) only sinful outside of matrimony. Homosexuality is (1) unnatural, (2) never procreative, and (3) not only ALWAYS sinful but--alongside murder, oppression of the poor, and defrauding laborers of their rightful wages---one of the four sins that scream to Heaven for vengeance. Salmon claims he is not encouraging or condoning homosexual activity, yet saying it doesn't make it so. He IS encouraging romantic feelings among two young and confused boys, and holding it to be on par with heterosexuality by letting them attend. These boys need psychological help and spiritual guidance that will lead them to Heaven. THAT is true love or Charity. 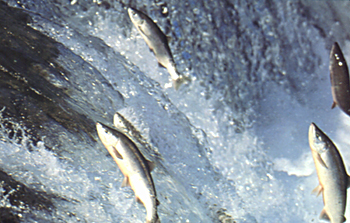 Like Traditionalists, salmon are supposed to swim against the tide; unfortunately, this one can't go along with the popular and deadly current of Modernist relativism quickly enough.